The great majority of observed changes are consistent with functional understanding and modelled predictions of climate impacts. Examples of expected responses include infrastructure effects of melting in the cryosphere, effects of intensifying droughts and runoff, and effects of rising sea levels. In marine, freshwater and terrestrial biological systems, changes in morphology, physiology, phenology, reproduction, species distribution, community structure, ecosystem processes and species evolutionary processes are, for the most part, in the predicted directions. Agricultural crops have shown similar trends in phenology, and management practices along with the spread of pests and diseases coincide with expected responses to warming. Responses of yields in the few crops with reported changes coincide with model predictions. Temperature-sensitive vectors, e.g., ticks, have spread for some human diseases. Observed changes are prevalent across diverse physical and biological systems and less prevalent in managed systems and across many, but not all, geographical regions. While there is evidence of observed changes in every continent, including Antarctica, much evidence comes from studies of observed changes in Northern Hemisphere mid- and high latitudes and often from higher altitudes. Significant evidence comes from high-latitude waters in the Northern Hemisphere as well. Evidence is primarily found in places where warming is most pronounced. Documentation of observed changes in tropical regions is still sparse. The evidence for adaptation and vulnerability to observed climate change is most prevalent in places where warming has been the greatest and in systems that are more sensitive to temperature. Thus, documented changes relating to adaptation in the Arctic and mountain regions include reduced outdoor and tourism activities, and alterations in indigenous livelihoods in the Arctic. Responses to climate change, including warming, vary by community and are beginning to be systematically documented (Section 1.3.9). In terrestrial biological systems, special conservation measures by resource managers are carried out as an adaptation to the impacts of climate change, focusing on spatial strategies, such as ecological networks, short-term refugia, robust corridors, transnational pathways, or potential future protected areas (Opdam and Wascher, 2004; Thomas, 2005; Gaston et al., 2006). Conservation management for wetlands undergoing erosion has been addressed as well (Wolters et al., 2005). Documented evidence of adaptation to regional climate trends in the highly managed systems of agriculture and forestry is beginning to emerge, such as shifts of sowing dates of annual crops in Europe (Section 1.3.6). With regard to the assessment of vulnerability, few studies have documented observed effects of warming in subsistence agricultural systems in rural populations in developing countries; there are, however, well-documented studies of adaptive responses and vulnerability to long-term drought in the Sahel. Vulnerability appears to be high in the case of extreme events or exceptional episodes, even in developed countries, as documented by the agricultural response to, and excess mortality occurring in, the 2003 heatwaves in Europe. The global decline in aggregate deaths and death rates due to extreme weather events during the 20th century suggest that adaptation measures to cope with some of the worst consequences of such events have been successful. However, the 2003 European heatwave and the 2005 hurricane season in the North Atlantic show that, despite possessing considerable adaptive capacity, even developed nations are vulnerable if they do not mobilise adaptation measures in a timely and efficient manner. In human health, air-conditioning has contributed to declines in death rates during the summer in the USA and Europe over the past 3040 years (Section 1.3.7). Documentation of adaptation and vulnerability in terms of energy and tourism is limited (Section 1.3.9). There is a notable lack of geographical balance in the data and literature on observed changes in natural and managed systems, with a marked scarcity from developing countries. 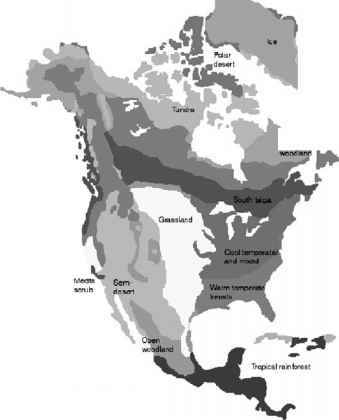 Regions with climate warming with an accumulation of evidence of observed changes in physical and/or biological systems are Europe, Northern Asia, north-western North America, and the Antarctic Peninsula. Regions with warming where evidence of observed changes is sparse are Africa and Latin America, and evidence is lacking in South-east Asia, the Indian Ocean and regions in the Pacific. Possible reasons for this imbalance are lack of access by IPCC authors, lack of data, research and published studies, lack of knowledge of system sensitivity, differing system responses to climate variables, lag effects in responses, resilience in systems and the presence of adaptation. There is a need to improve the observation networks and to enhance research capability on changes in physical, biological and socio-economic systems, particularly in regions with sparse data. This will contribute to an improved functional understanding of the responses of natural and managed systems to climate change.